Our vision is a community working together to ensure that everyone has the opportunity to thrive in Greenville. Won’t YOU be a part of making this vision a reality? 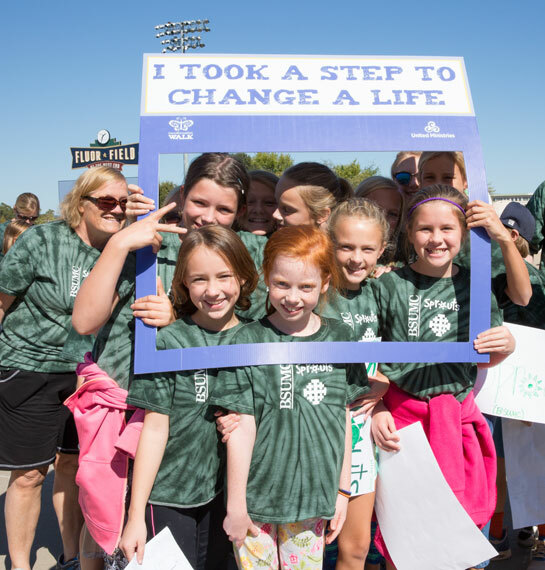 United Ministries partners hosts several signature events each year to create community awareness and raise funds for our valuable programs. 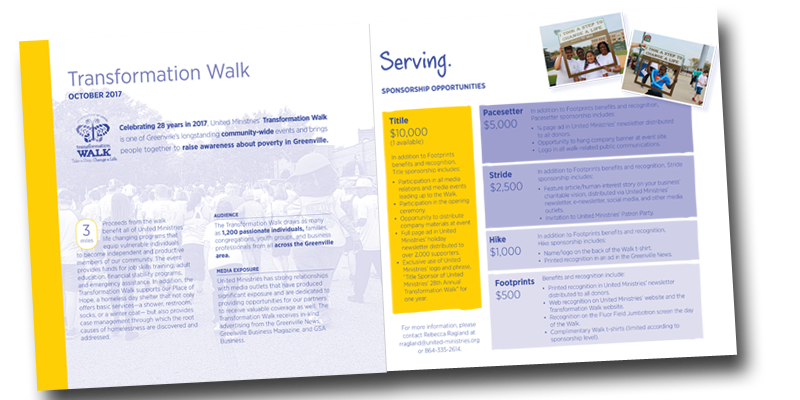 Events provide a perfect opportunity for our corporate sponsors to proudly show their community support through our creative sponsorship packages. Serve as good stewards of your generous investment. Commit to delivering valuable benefits to our sponsors, with a positive partnership experience to every event sponsor. Customize sponsorships to meet specific marketing objectives and to enhance your partnership with United Ministries. To speak with someone about our current sponsorship opportunities, please contact Jade Fountain at 864.335.2615 or jfountain@united-ministries.org. Employment Readiness participants receive long-term one-on-one coaching to address all of the factors that have impacted employability. Coaching and coursework develops financial know-how, personal effectiveness, and job skills. We even continue to work with our participants after they are employed.